The Midwest Clinic - Play Lead Alto Sax with the Big Phat Band…NOW! Play Lead Alto Sax with the Big Phat Band…NOW! Clinic Synopsis: The Gordon Goodwin Big Phat Band exudes the sheer exhilaration of big band jazz, a combination of crisp accuracy and fiery soloing. Lead alto player Eric Marienthal will discuss, demonstrate and provide you with volumes of information about style, phrasing, tone, dynamics, technique, articulation, playing in time, and improvisation. 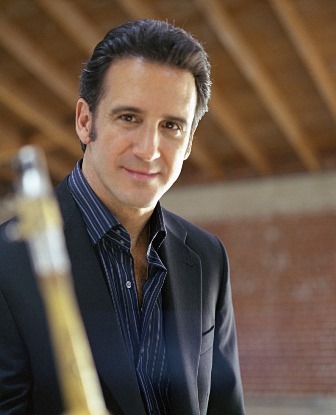 Clinician Biographical Information Eric Marienthal is lead alto saxophone with The Gordon Goodwin Big Phat Band. Marienthal’s career began in 1980 with trumpeter Al Hirt, and has included performances in over 80 countries, 13 solo CDs, and contributions to hundreds of records, films, television shows, and more. He has had nine recordings in the National Contemporary Jazz Radio Charts Top 10, three of which have made it to #1. As a member of the Chick Corea Elektric Band, Marienthal received two of his five GRAMMY nominations. Marienthal also won a GRAMMY Award as part of the GRP Super Live in Concert CD. He has performed with artists such as Elton John, Barbara Streisand, Billy Joel, Stevie Wonder, Dionne Warwick, Burt Bacharach, Aaron Neville, Johnny Mathis, Dave Grusin, Lee Ritenour, George Duke, David Benoit, The Rippingtons, The Jeff Lorber Fusion, Brian Culbertson, Patti Austin, Lou Rawls, David Lee Roth, The Yellowjackets, B.B. King, Ramsey Louis, Patti Labelle, and many others. Visit: ericmarienthal.com.